🎨 Paint.Book - Paint by Number 🎨, totally new coloring books for adults and kids in 2019, allows you to draw thousands of beautiful pictures by numbers. ❤️🦄💎🐱🍦 All the artworks are attractive and they are all free to color. You can color by number and finish your masterpiece easily. 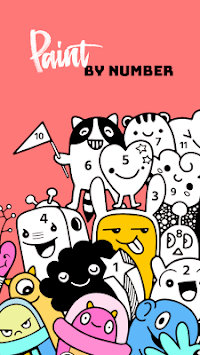 NO.COLOR Number Coloring Book 📖 is one of the best coloring games for any age and family 👨👩👧👦. For adults, it is an excellent way to calm down and enjoy hours of fun and relaxation. For children, it is a great way to develop children's recognition of colors and numbers, trains concentration and steadiness. 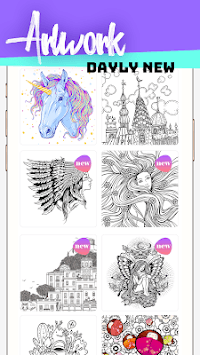 Create your own coloring pages, release your inner artist, and share your artworks to your family and friends. 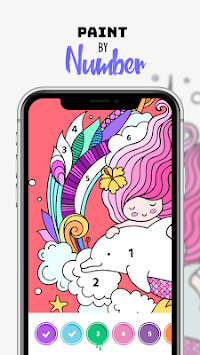 💎 Provide Great variety of coloring pages in different categories, you can paint cartoon, anime, animals, cars, hearts, flowers, unicorn, mandala etc. 💎 Long press to paint continuously which make coloring and drawing more easily. 💎 Tips tool help you to auto locate the coloring numbers, which are unfinished. 💎 When you finish your coloring artwork, No. Color Colour by Numbers can turn your artwork to a stunning video. You can share it to your friends or on the social network. 💎 Excellent background music and sound effects, which makes you relaxing, and give you a very immersive user experience. 💎 Daily update: New pictures will be updated every day. 💎 Double finger to zoom in and zoom out the coloring pictures.